Colonial Americans, in their drive inland from the east coast, continually struggled to turn virgin land into farms and settlements. 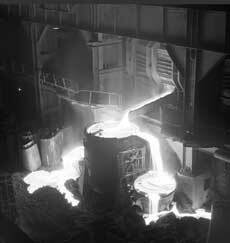 The need for iron and the furnaces developed as the need for hardware grew to clear and work the fields. Most of the early iron works in the Americas were partnerships of English or European men and capital. 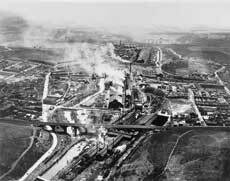 Yet in 1700s’ Pennsylvania a different type of iron industry was beginning. 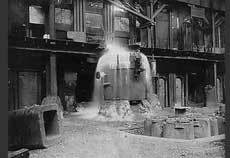 The first successful furnace named Rutter’s Forge was erected by Thomas Rutter west of Germantown on the old Indian trail then and now called Ridge Road. Others quickly followed Coventry, Reading, and Warwick, to name a few. Yet in 1750 a bill was introduced in English Parliament preventing the construction of slitting or rolling mills in the colonies. The American Revolution threw off British rule and established a government which soon began protecting its most important infant iron industry through tariffs and taxes on import and export activity. By the late 1780s the iron industry seemed to be a way in which to make a dependable living. 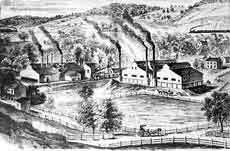 By 1793 the first of a long and deep line of iron masters and later steel executives, Isaac Penncok was owner and operator of the Federal Slitting Mill located on the Buck Run. This operation was probably named as such to symbolize the confidence and pride that existed toward the new government at that time. Isaac Pennock was the grandson of a prominent Quaker farmer Joseph Pennock, who arrived in Philadelphia in 1701 to oversee his many land titles in the Philadelphia region. In addition to land in Philadelphia, near Market Street, Joseph owned land on the south bank of the Schuylkill River near Merion Meeting House, as well as land in West Fallowfield Township Chester County. Joseph inherited this land from his father Christopher Pennock. Since he was a devout Quaker Joseph attended meeting in Philadelphia, and Springfield on a regular basis, before moving out to the frontier of early Pennsylvania before 1710. 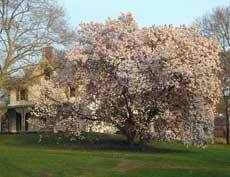 There in his later years Joseph built Primitive Hall in 1738 and soon thereafter petitioned the New Garden Meeting to establish the London Grove in a grove of trees in the northeastern section of the London tract. 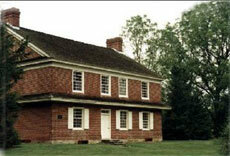 Isaac grew up in the Quaker community around Primitive Hall and the London Grove Meeting House. He was soon eager to try new pursuits especially in iron and steel. The turmoil that encompassed the Revolutionary War, soon began to ease with the developments of the Constitution protecting trade and the presidency of George Washington enforcing this document in its infancy. The county was now free to expand its frontiers. All frontiersmen needed tools and nails to tend to their fields and build their plank houses. Housing back then was accomplished with the local saw mill producing wooden planks that were nailed together with rod nails furnished by the slitting mills. This is where Isaac wanted to make his mark, by producing iron and nails for use in developing settlements. Therefore against his parents’ wishes he operated the Federal Slitting Mill on the Buck Run tributary to the Brandywine River in 1793. This works produced iron rods for cutting into nails, strips for wagon rims and barrel hoops as well as blacksmith iron. At a later point in time it was renamed the Rokeby Slitting Mill. Isaac, throughout his life must have seen a constant flow of wagon traffic from Philadelphia and Wilmington come through Chester County on the way to settling the frontier. This mill did very well for Isaac for he was able to purchase in 1810, with his co-investor Kersey, the Coates farm along the West Brandywine at a point that straddled the new east/west Turnpike Road from Philadelphia to Lancaster, laid out in 1794. He converted the saw mill on the property into the Brandywine Iron and Nail Co. 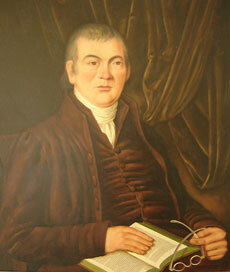 Shortly thereafter his daughter Rebecca Webb Pennock traveled to Philadelphia and met Charles Lukens. 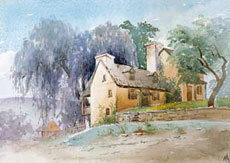 They were married on March 23, 1813 at the Friends of Fallowfield Meeting House, just south of Coatesville. Isaac bought out Kersey’s share of the business in 1816 and began leasing it to his son-in-law, Charles, for $420 a year. 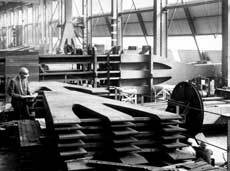 The couple began looking at updating the site and by December 1818 the United State’s first boiler plate steel was rolled along with split rods and cut nails. During 1834 Rebecca also opened a store, warehouse and freight agency at the Coatesville depot providing access to Philadelphia and Pittsburgh. The panic of 1837 brought very hard times on the local businesses. But she had battled through much to get where she was and had to battle more in the future such as transportation tariffs. Yet she was getting older and her daughters began to marry. 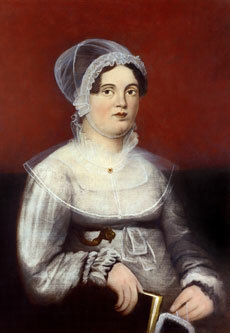 Martha Lukens married first, Abram Gibbons Jr. in October 1841 at the Fallowfield Friends Meeting House. He joined the firm in 1842 and was made a full partner in 1844. In 1847, Isabella married Dr. Charles Huston who like Dr. Charles Lukens was a physician from Philadelphia. Dr. Charles Huston’s father, Robert Huston Mendenhall, M.D., was a distinguished physician and a trustee of Jefferson Medical College until 1840. These two sons-in-law slowly took over all operations and the firm’s name was Gibbons & Huston by 1849. Shortly thereafter, in 1850, Abraham Gibbons left the business solely to Huston. At the age of 60 Rebecca passed away on December 10, 1854 and was laid to rest in the Orthodox Fallowfield Friends Meeting House about a half-mile from her husband. The Mill was renamed the Lukens Rolling Mill to honor the matriarch of the company. The foundations were laid for success through her determination. Yet others such as Dr. Charles Huston now had to carry on. Using his medical background, he became interested in the chemical composition of steel. By analyzing these characteristics ironmasters were able to control more closely the quality of their products. Modernization became necessary for survival. In 1870 the mill was again refitted with new rolls, and the significant shift to steam driven power moving away from water-wheel driven energy. The old mill was also converted into a puddling mill to handle the reheating of pig iron to refine and purify the iron. By 1881 Huston’s two sons, Abram Francis Huston and Charles Lukens Huston, began to show an interest in the business and the firm became Huston & Sons. Company was incorporated as a stock company in the Commonwealth of Pennsylvania. Dr. Charles Huston was the first president of the Company and the first meeting was in his home. In 1890 the company also reorganized and added a three-high reversing mill to attract more of the competitive market and attract investors. This allowed a hot plate to pass both ways through a roller without having to be handled. The company then built in 1892, two 30-ton open hearth furnaces along South First Avenue. The first tap was on February 25, 1892. 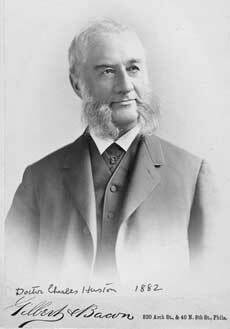 Dr. Charles Huston passed away in 1897 succeeded by his son A. F. Huston as president of Lukens. 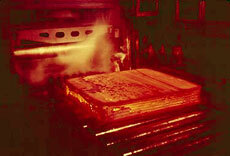 though to build the largest plates: the 140, 160, 204 and in 1919 the 206 mill. World War II saw the company’s level of employment top 6,000 over its many locations. The plant was enlarged by the Department of the Navy construction facilities to handle the large amounts of materials needed to supply the navy plate steel for its vast armada of combat and auxiliary ships. The Company purchased these facilities from the government at the end of the war. The 1950s and 1960s saw continued expansion as the world came to the post modern era, with nuclear submarines, such as the Pennsylvania, and oil tankers, such as the Manhattan, along with skyscrapers, namely the World Trade Center. The electrical era also brought and end to the open hearth furnaces as one 100-ton electric-arc furnace was installed in 1958. 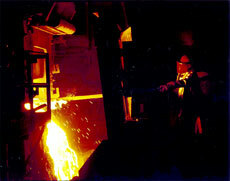 A second 100-ton furnace was installed in 1960, with a 150- ton following in 1962. As the 1960’s came to a close Charles Lukens Huston Jr. became chief executive officer and chairman of the board. Stewart Huston, Charles Lukens Huston Jr.’s older brother, passed away in 1971 after 48 years of working in Lukens as senior vice president and director. The Company’s independent status came to an end with the close of the 1990s; after 187 years of continuous operation Lukens Steel Company was sold to Bethlehem Steel Company and formally delisted from the New York Stock Exchange on April 1, 1998.